Take advantage of this absolutely stunning single level rancher located in a highly desirable neighborhood on a private cul-de-sac! You will be impressed with the desirable open concept floorplan with vaulted ceilings and several updates throughout! 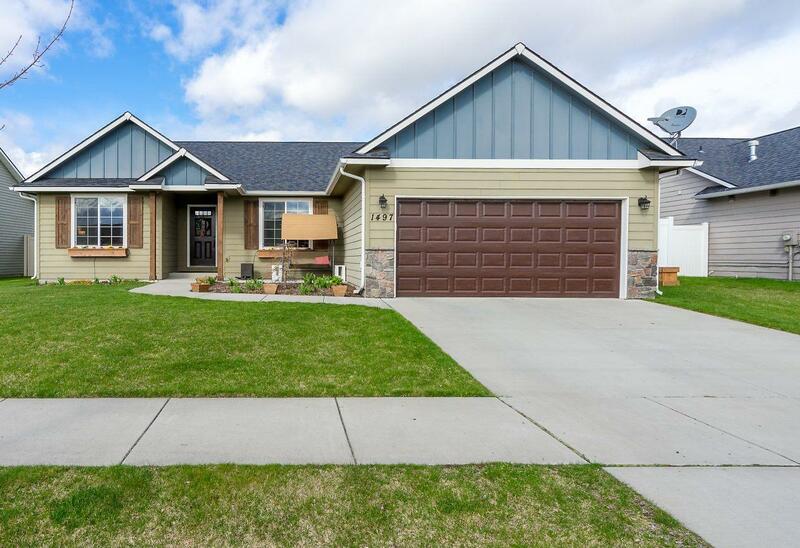 Home shows like new with beautiful laminate floors, updated paint throughout, and a full kitchen remodel including stainless steel appliances, new granite countertops and backsplash. This beauty includes 3 bedrooms with full master suite, 2 bathrooms and an additional bonus room currently set up for an office with custom built in shelving! Exterior includes hardy plank siding, full landscaping with front and back yard sprinklers, nice covered pergola and an extended brick patio perfect for entertaining guests!